The guessing game is now over and Sony has finally confirmed the spring debut in the Japanese market for the Xperia Z tablet. The anticipated announcement and confirmation, which was conspicuously missing during the CES trade event in Las Vegas, was made belatedly by the Japanese electronics giant after its rumored specs and features were leaked online. The Xperia Z tab will hit the Japanese market, although Sony is still mum about plans for the gadget’s international release. The Xperia Z is the second half of Sony’s flagship duo and pairs up with Xperia Z smartphone, which was unveiled during the CES trade event. This latest offering from Sony is a sleek and slim 10.1-inch slate that is meant to go head-to-head with the Nexus 10 and iPad. With 6.9mm of thickness, the Sony slate beats the iPad mini and comes off as the thinnest tablet in the market. It features a 1.5GHz Qualcomm quad core processor and 2GB RAM. This upcoming Sony gadget touts a 32GB internal storage and boasts a 1920 x 1200 display panel and NFC capability. And while the Xperia Z tab doesn’t come alongside with Nexus 10 and iPad when it comes to pixel density, the gadget still comes up with a decent numbers at 224ppi. Unlike its Xperia sibling, the Sony tablet will not have the 13MP shooter which is video-enabled and will instead feature an 8.1MP Exmor R snapper. 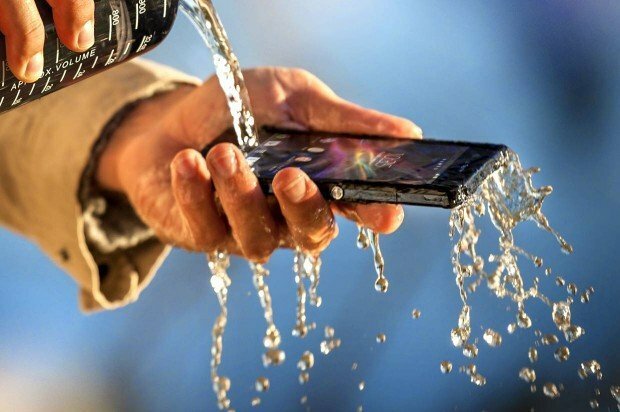 However, it will be equipped with the waterproof casing just like the Xperia Z smartphone, although the extent is not yet clear at the moment. And when it comes to connectivity, the Sony Xperia Z tablet will support LTE, Bluetooth 4.0, NFC and WiFi a/b/g/n. Sony has also confirmed that the gadget will run on Jelly Bean Android 4.1 OS and will be available in black and white color options.